Prepping meals in bulk has never been easier! 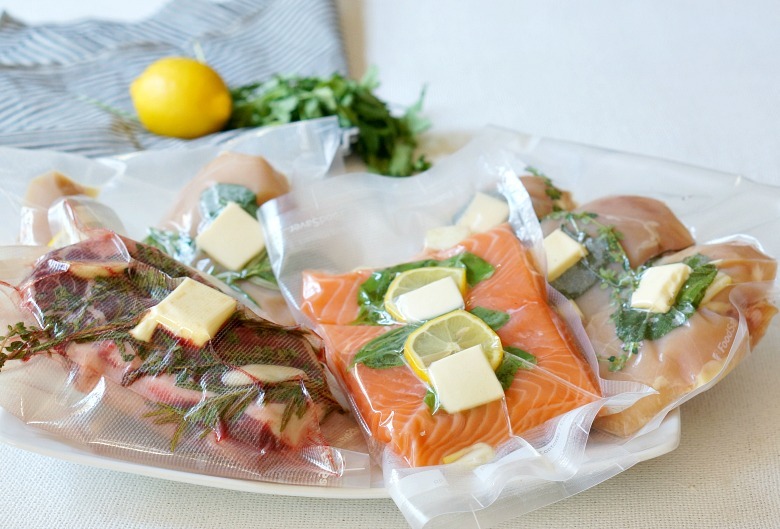 These Sous-Vide meal prep ideas are easy enough for busy weeknights but elegant enough for entertaining. 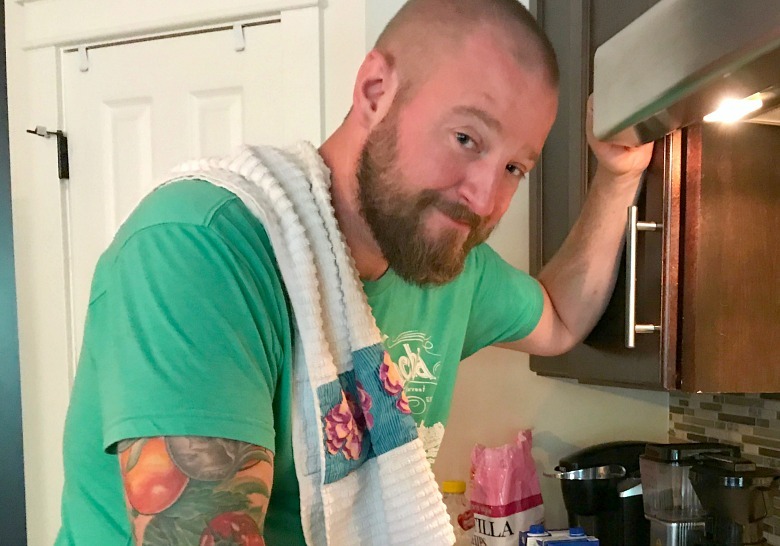 I don’t know if I’ve shared this with y’all… but I happen to have rock-star, chef-neighbor. 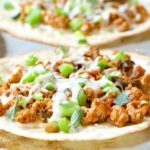 Makes for some super-fun impromptu evening get-togethers… either when we collaborate on meals with random fridge ingredients or when I call him up for help with recipe development. 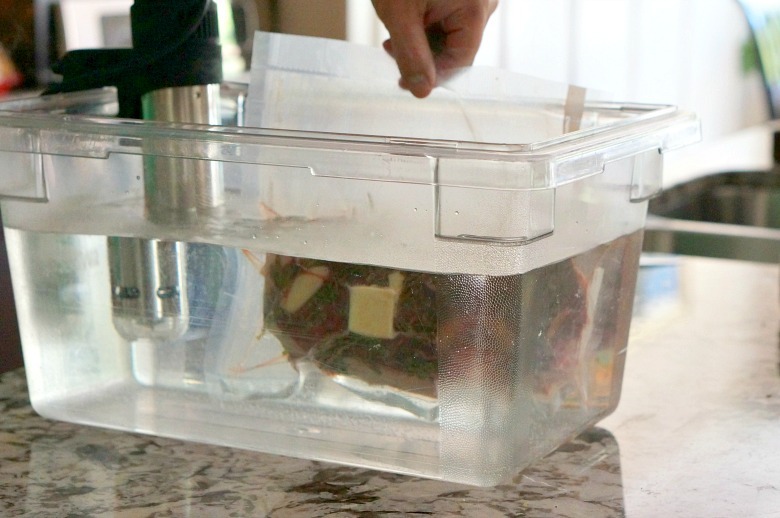 Such was the case for this post, where I wanted to share with you how to meal prep using the FoodSaver® V4440 2-in-1 Automatic Vacuum Sealing System for sous-vide cooking. Chef Ben to the rescue! New to sous-vide? In laymen’s terms, it simply means to seal food in a air tight container, then to cook that food in temperature-controlled water. Why? Because it takes the guess work out of cooking (no more dry chicken breasts) and makes cooking for a crew easy-peasy. 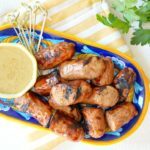 He graciously helped me to create some easy-to-execute and absolutely delicious ideas that can be used for both busy weeknight meals and elegant suppers alike. Trust me, we taste-tested them all on one fun (and belly) filled Sunday afternoon. Click the image above to view the products on Amazon.com. 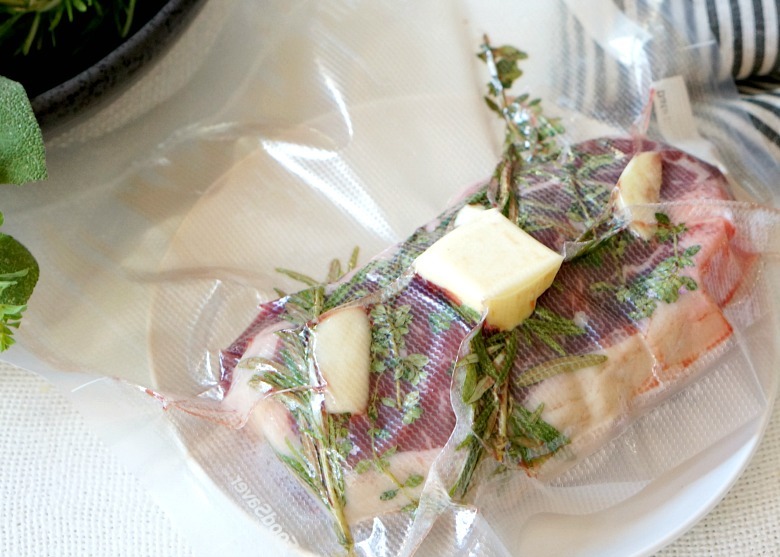 FoodSaver® V4440: The first step to sous-vide cooking is to seal the foods using the FoodSaver® V4440. Y’all! This thing is super-handy. 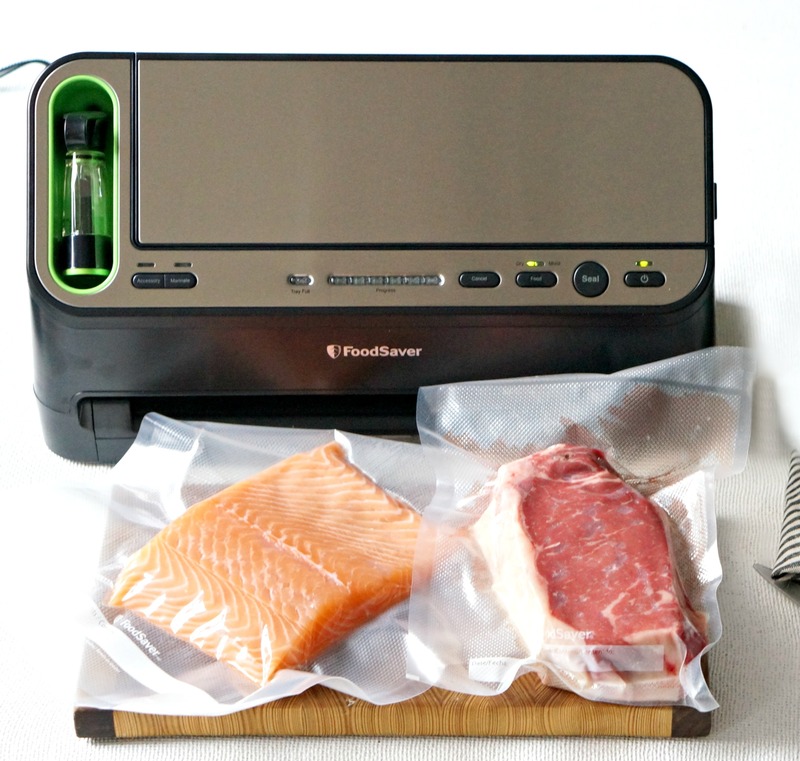 FoodSaver® is the number 1 Vacuum Sealing System in the US for good reason. By evacuating air from the bag, food is protected from the deteriorating effects of oxygen locking in freshness and protecting food from spoiling. The system includes vacuum seal bags, vacuum zipper bags and containers designed to work together with vacuum sealers for optimal performance. FoodSaver® 3PK 11″ Vacuum Seal Rolls: FoodSaver® Vacuum Seal Roll Sets come in 3 – 11″ Rolls with unique BPA-free, multi layer construction specifically designed to withstand boiling temperatures. When used with the Foodsaver® V4440, the rolls are completely airtight, which delivers consistent cooking results and prevents floating during sous vide cooking. They are also safe for microwave, freezer, and refrigerator. 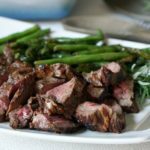 Proteins: When I am prepping meals to sous-vide at a later date, I like to plan a variety of meats and seafood. For my family of four, that usually means I prep 4 steaks, 4 chicken breasts, and 4 salmon filets. You can also prep pork chops, other chicken cuts, seafood, and veggies. 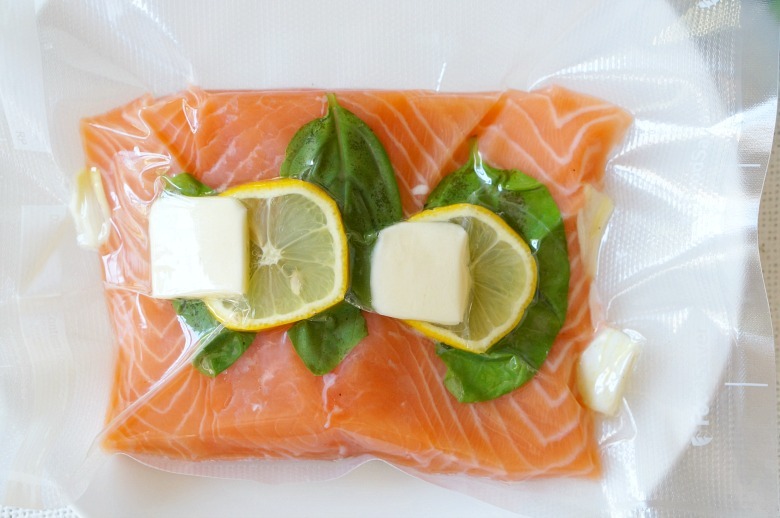 Use the FoodSaver® Vacuum Seal Rolls to form a bag to fit the protein you’d like to sous-vide. Be sure to leave several inches on all sides. Insert the meat, and top with several slices of citrus, sliced garlic cloves, fresh herbs, and several pats of butter. Seal using the FoodSaver® V4440. Repeat the process for the rest of your meals. Refrigerate or freeze until ready to use. 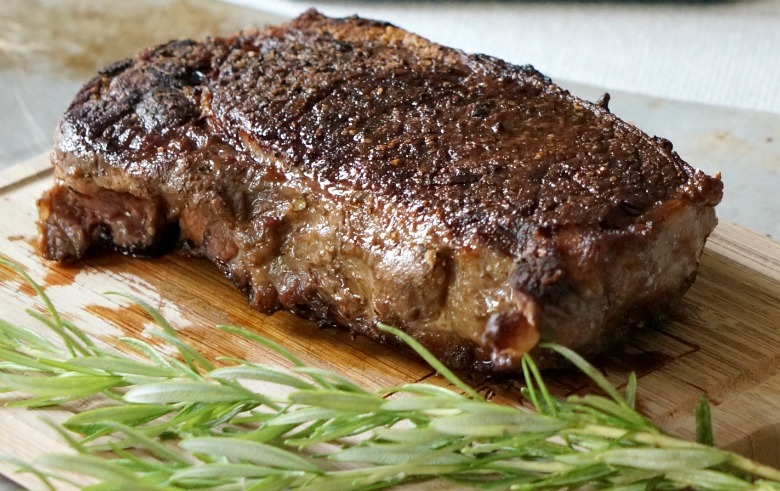 NY Strip: Seal each 16 oz. steak (this usually serves 3 adults for my crowd) with 2 Tb. butter several sprigs of thyme and rosemary, and a two cloves of garlic, sliced thinly. Sous-vide at 125 degrees for approximately one hour. Refrigerate in the bag until ready to sear and serve. Chicken Breasts: Seal 1 1/2 lbs. 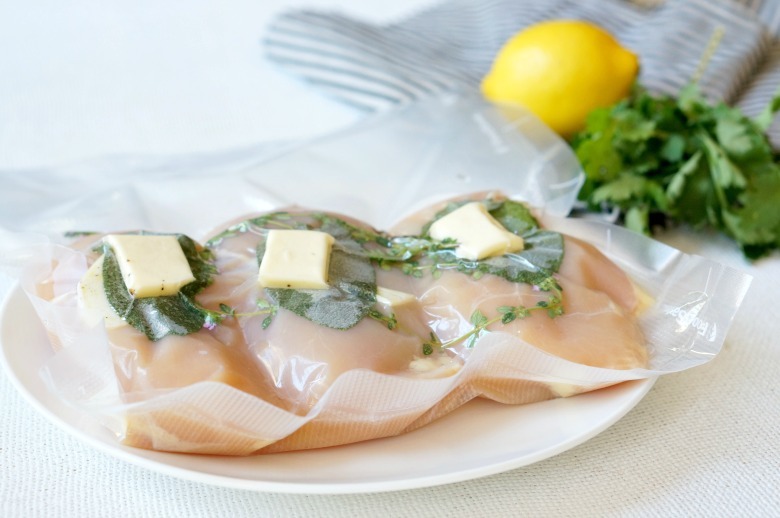 of chicken in one bag along with fresh sage leaves and thyme sprigs, 2 Tb. butter, and one clove of sliced garlic. Sous-vide at 160 degrees for approximately 2 1/2 hours. Refrigerate in the bag until ready to sear and serve. Salmon: Seal 1 1/2 lbs. of salmon (I prefer it without the skin, but you do you), along with fresh basil, 2 Tb. butter, lemon slices, and one clove of sliced garlic. Sous-vide at 130 degrees for approximately 30 minutes. Refrigerate in the bag until ready to sear and serve. Your meal now has lots of flavor, but it may not look awesome. 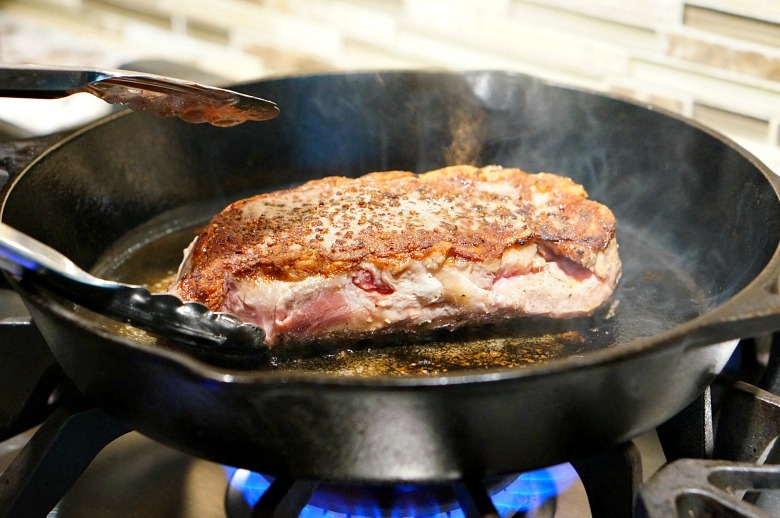 All it needs now is a quick spin in a piping hot cast iron skillet with a little extra butter! Melt 2 tablespoons of butter in the skillet, then add the protein, along with the herbs, citrus and garlic from the bag it was cooked in. Cook, basting constantly until each side has a nice golden crust. Allow to rest before serving. Don’t miss these great offers on Amazon.com! Claim the Amazon Best Deal 20% off FoodSaver® V4440 2-in-1 Automatic Vacuum Sealing System between 6/4 and 6/9/18. And the Amazon Best deal 20% off FoodSaver® Vacuum Seal Rolls by clicking here! Previous Post: « Fancy Pants Grilled Cheese. You’re Welcome. Looks very delicious and the end result looks like on par with fancy restaurant. Thanks for sharing the recipe, I’ll try it out. Absolutely! Good luck and happy Sous-vide(ing)!